Bored of the same old bouquets? Fancy something a little bit radical and out there for your next flower purchase? 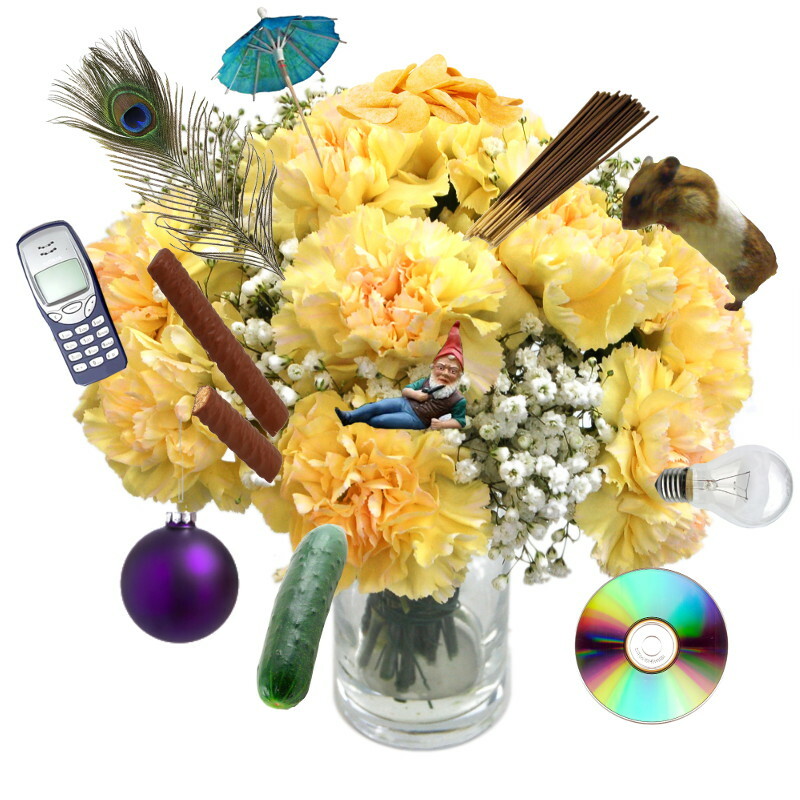 Ladies and gentlemen, we're very proud to introduce our brand new Avant Garde bouquet. This one's a game changer, guys. In fact, we'd go as far as to say it represents a paradigm shift in the field of floristry, and we're sure you'd be inclined to agree with this somewhat grandiose statement. This is a forthcoming bouquet and we've yet to put a price on it, but given that it looks like it belongs in a museum of contemporary art, we reckon it'll be around the few thousand pounds mark. Availability will be strictly limited so it's best to get in touch with us now to reserve yours!